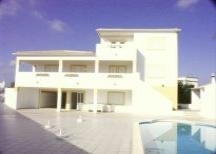 Villa Arroteias is very spacious and private with it's own swimming pool. The property is suitable for the larger family/families sharing (because the villa can be divided in two apartments with is one entrance if you which) and is an excellent base for friends on golfing holidays. The Villa is situated 400 yds from the typical Algarvian village of Pêra (where you can find all amenities, including the main market, shops, banks and pharmacies) and is just 3 km away from several sandy beaches such as Praia dos Salgados, Praia Grande, Praia de Armação de Pêra (this is of beautiful fine sandy stretching for miles and to the East it is lined with fishing boats and served by beach side restaurants) and from the Golf Course of Salgados. If you crave privacy, a very short drive away are some of the most beautiful, secluded sandy beaches and coves in Europe, the favourite is Praia da Marinha. There are 4 fantastic theme parks within 5 mins of the villa. There are all very different, satisfying all tastes ( Slide & Splash, Aqualand, Zoo Marine and Crazy World, Etc...). Bedroom 1 - two single beds, fitted wardrobes and patio doors opening to terrace with views to the pool area. Bedroom 2 - two single beds, fitted wardrobes an en suite bathroom. Bedroom 3/4/5 - two single beds and fitted wardrobes. 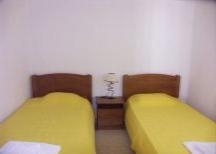 - En suite bathroom to bedroom 2 with bath/shower, wc and bidet. 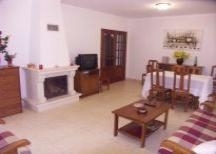 - 2 Family bathrooms with bath/shower, wc and bidet. 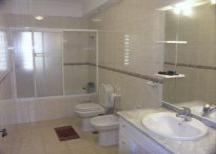 - Shower room with wc. - Kitchen 1(on the first floor) is a modern fully fitted kitchen with built-in oven, hob, dishwasher, washing machine, fridge/freezer, extractor fan, microwave and wood dining table with chairs. 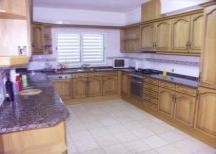 - Kitchen 2 (on the second floor) is a fitted with hob, extractor fan, fridge/freezer and wood dining table with chairs. - Living room 1 (on the first floor) is a spacious lounge/dining room with patio doors opening to terrace, solid wood dining table with chairs, 3 seater sofa and 2 armchairs, solid wood coffee table and a lovely marble wood-burning fireplace. -Living room 2 (on the second floor) is a ample lounge area with coffee table, 3 seater sofa, a armchair and door opening to roof terrace with fantastic views to Alcantarilha village, to the water park Aqualand and some distant sea views. - GARAGE for 2/3 cars and parking inside of the gate for 1 car. - There is a ample room where you can store golfing equipment. - Swimming pool with poolside shower. - Outside plastic dining table with chairs. - TV, hi-fi, radiator, fans and iron/ironing board. - WELCOME Pack on your arrival. 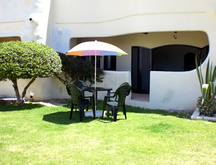 Towels (for use in the villa) and linen are provided and changed once a week. Maid service normally Saturdays. Change over day: we prefer on Saturday or Sunday but this detail can be modified according to booking dates. Maid service can be arranged (extra cost). Armacao da Pera, Algarve, Portugal. Provisions can be purchase locally in Pêra or a short drive away at the up-market " Algarve Shopping " complex, which boasts a hypermarket, boutiques, numerous restaurants, bowling alley and multi screen cinema, with most films in English. For directions don't hesitate to contact the owner. 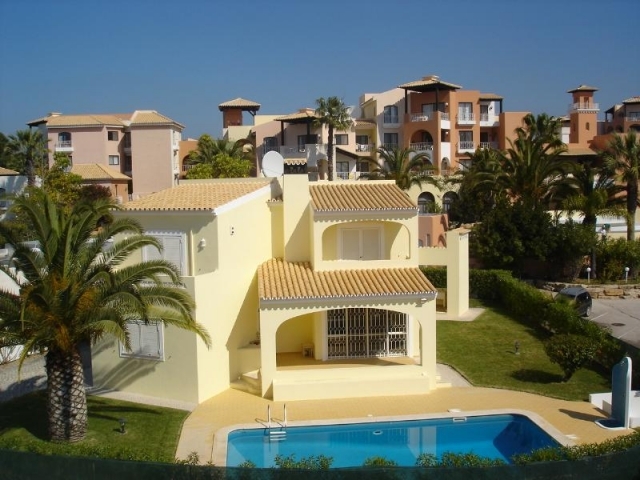 Please quote reference: a4m: 443 villa "Villa Arroteias"